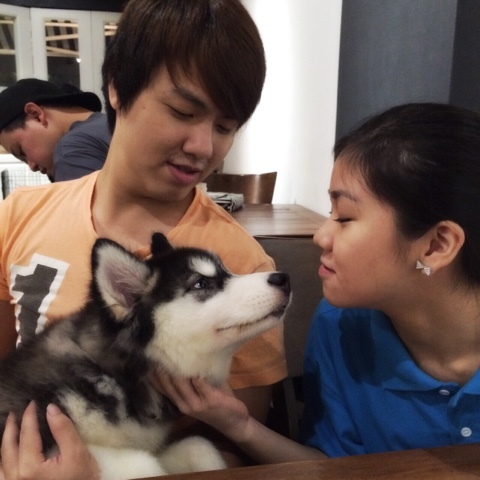 Last Friday marked a very special day to our Snowie because that's the first time she visited a pet cafe! 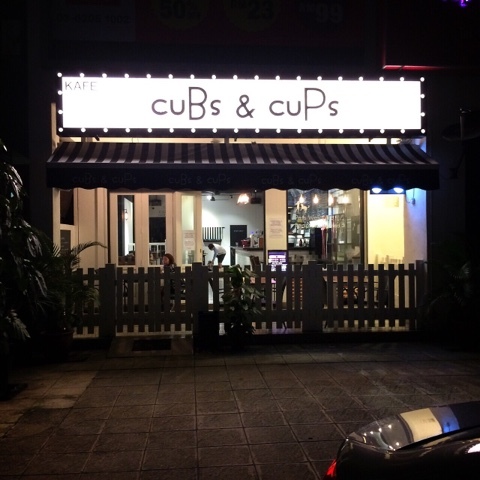 The newly opened pet cafe called cuBs & cuPs is located at Desa Sri Hartamas, right behind Souled Out which is quite near to my house. 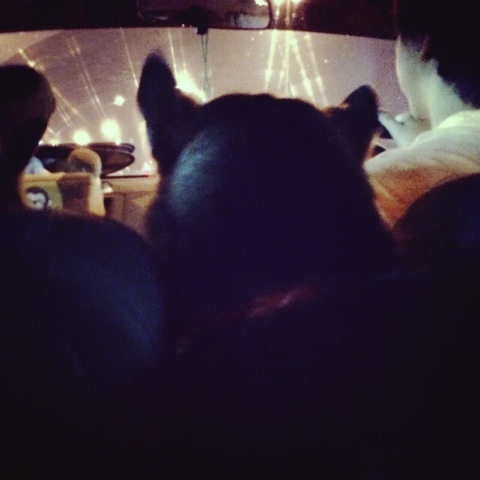 She's being restless during the ride to cafe because it's been months she left the house because of period and all. It's like finally she get to leave the house and breathe some fresh air outside. 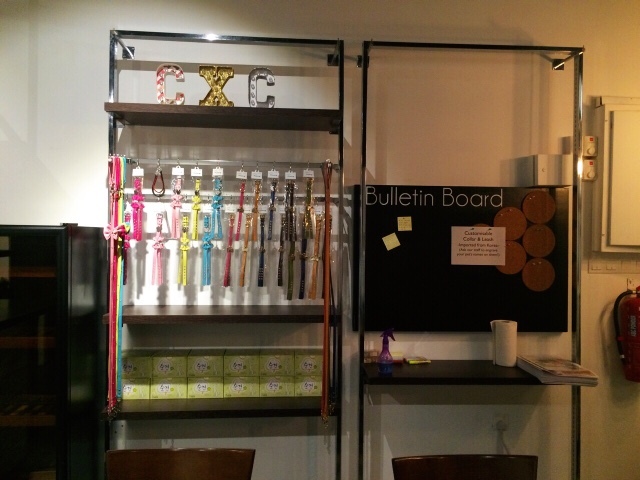 The cafe located right after the turning into the lane behind Souled Out. Such a beautiful exterior you can't missed it. 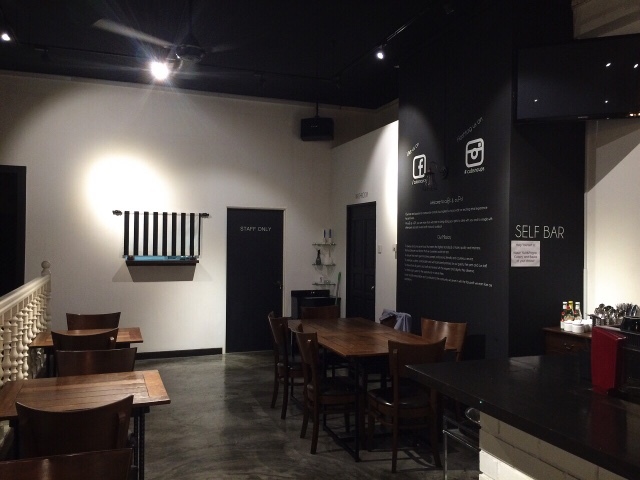 Owned by a pair of Korean couple and friends I guess, it is one stylish and modern pet cafe that you can't find elsewhere right in the heart of KL. 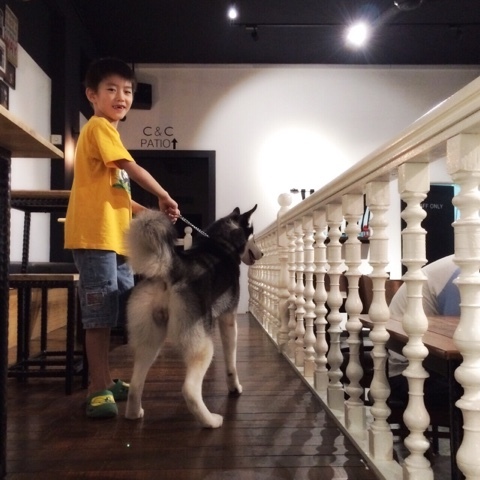 finally some place you can go with your fur kids with decent food and drinks and also air conditioned. 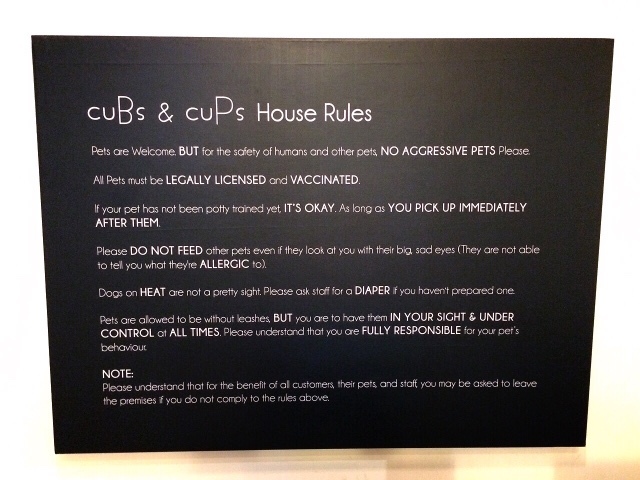 House Rules stated right in front of the cafe. 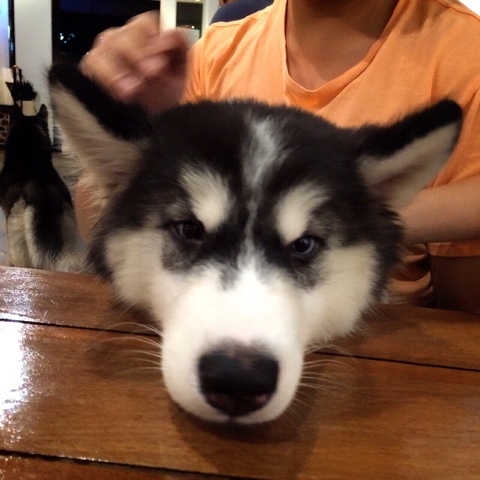 I guess Snowie is quite nervous when surrounded by unfamiliar dogs around her that she pooped and pissed quite a few times right when she arrived. 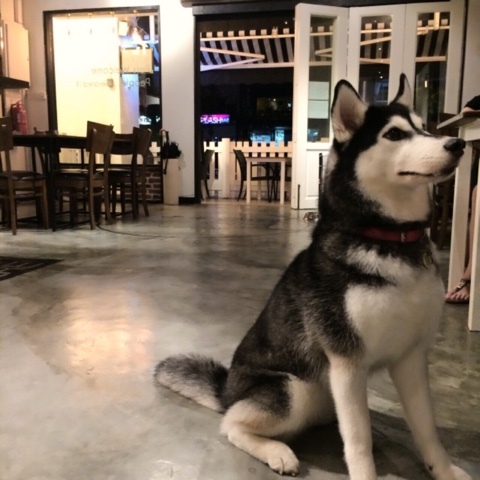 Luckily that the owners of the cafe prepared ample of cleaning tools for pet owners to clean their pet's mess and keeping the cafe clean and fresh. 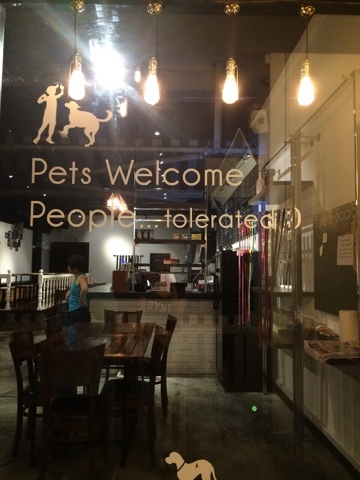 I guess you must be such a great lover of pets to let them poop bs piss around your cafe. 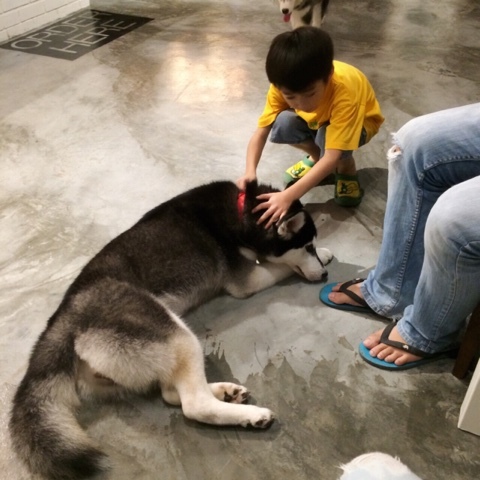 Xuan Xuan is so busy petting Snowie and running here and there with dogs. 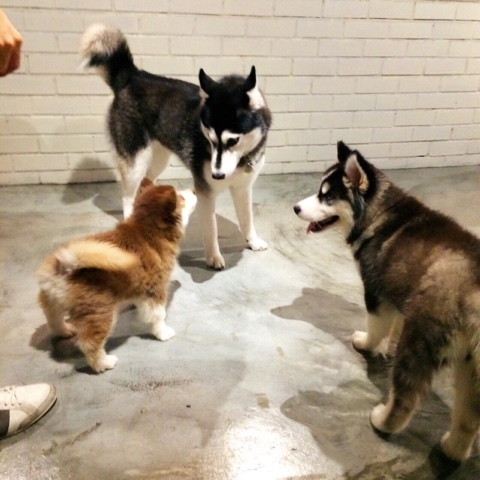 The cafe owner have 3 dogs which they let roam around the cafe - Cola the woolly husky, Mocha the malamute and Nachos the mixed Pom. Cola is such a sweetie she let strangers carry her and be so still . 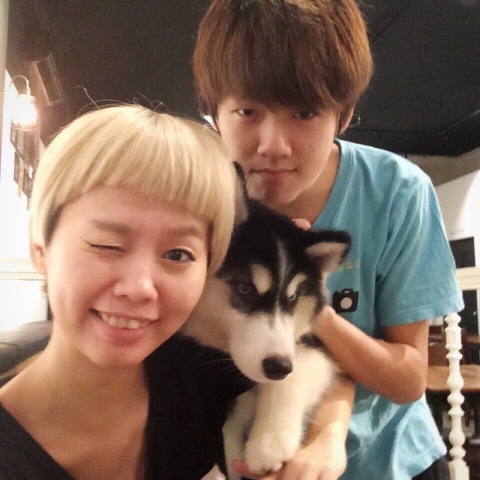 Begging for food with her watery eyes hahahahaha omg she just love food so much she will follow whoever have food. 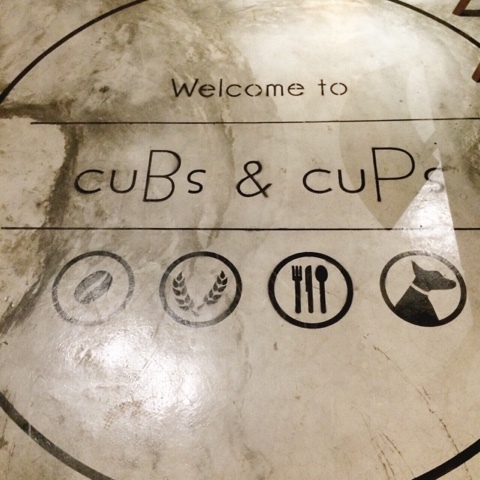 It was overall a fun experienced at cuBs & cuPs. 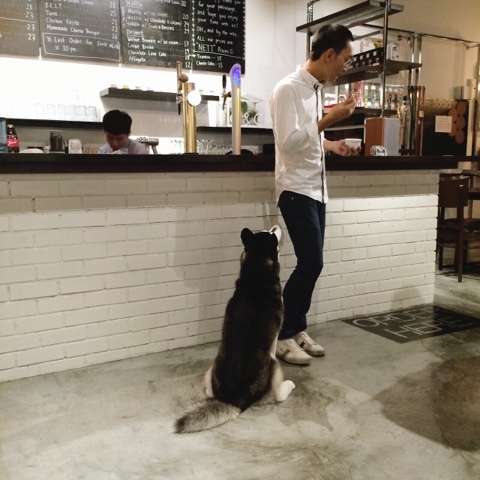 The owners were friendly, so many cute and lively fur kids around. Looking at them doing their thing, be friends with each other, running around and do some funny antics made us laughed our heart out. 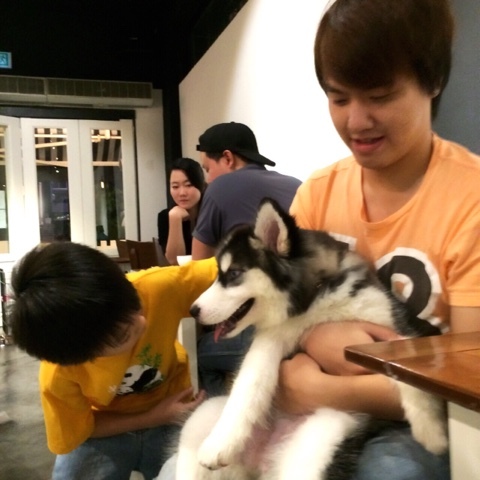 Definitely have to thank the owners for creating such a wonderful place for all types of pet lovers to bring their fur kids here. 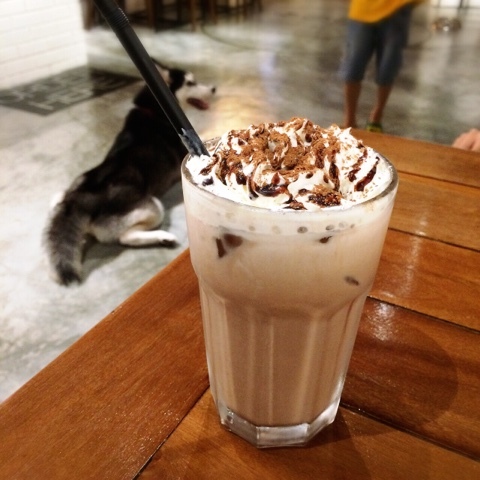 Definitely gonna bring Snowie to cuBs & cuPs as often as we could.